About 140,000 people were killed or died within months when the American B-29 "Enola Gay" bombed Hiroshima on August 6, 1945. 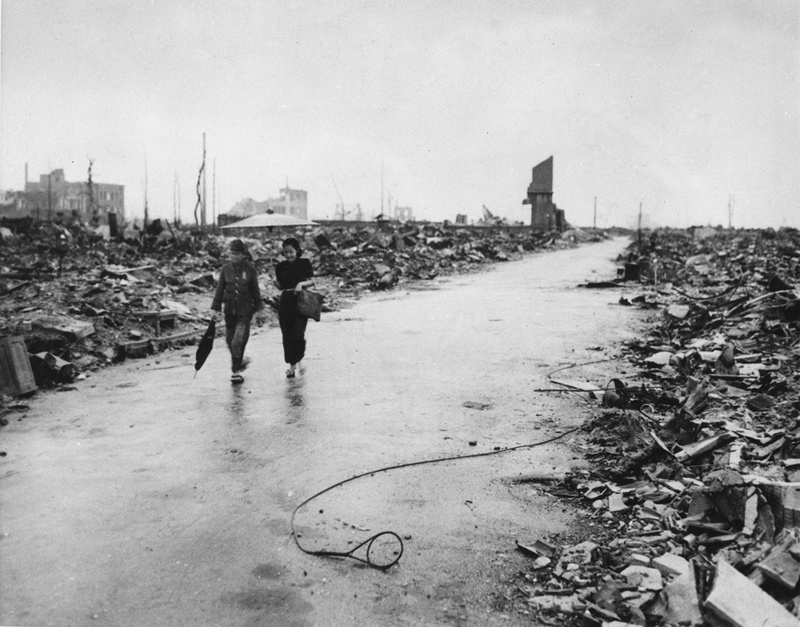 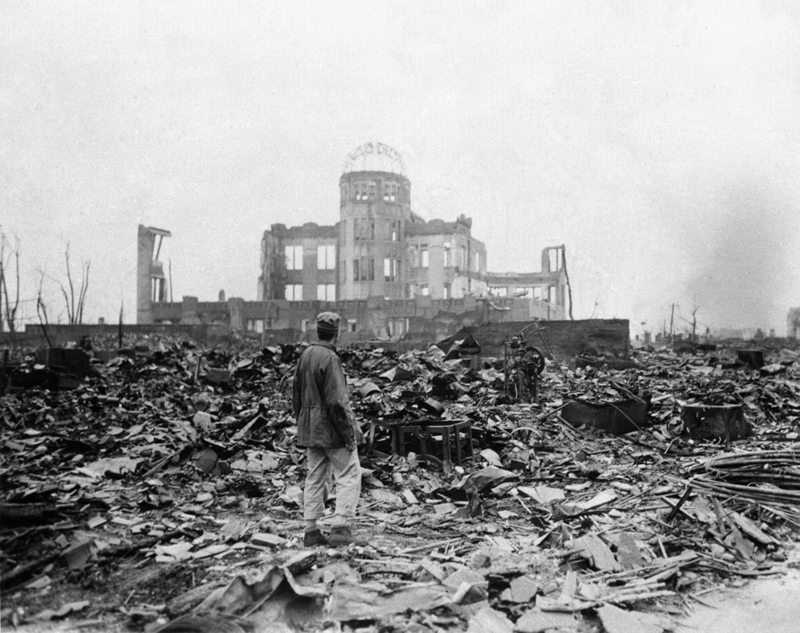 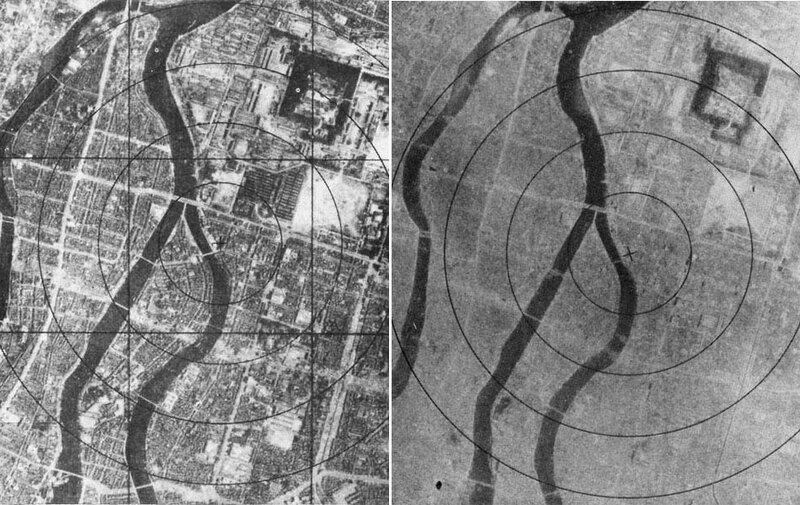 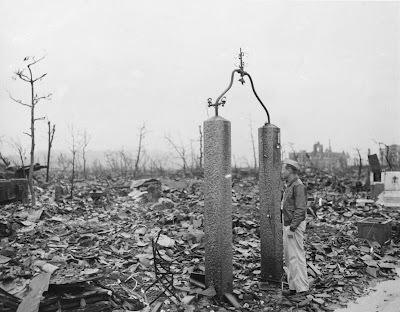 Three days later, about 80,000 people died after the United States attacked Nagasaki. 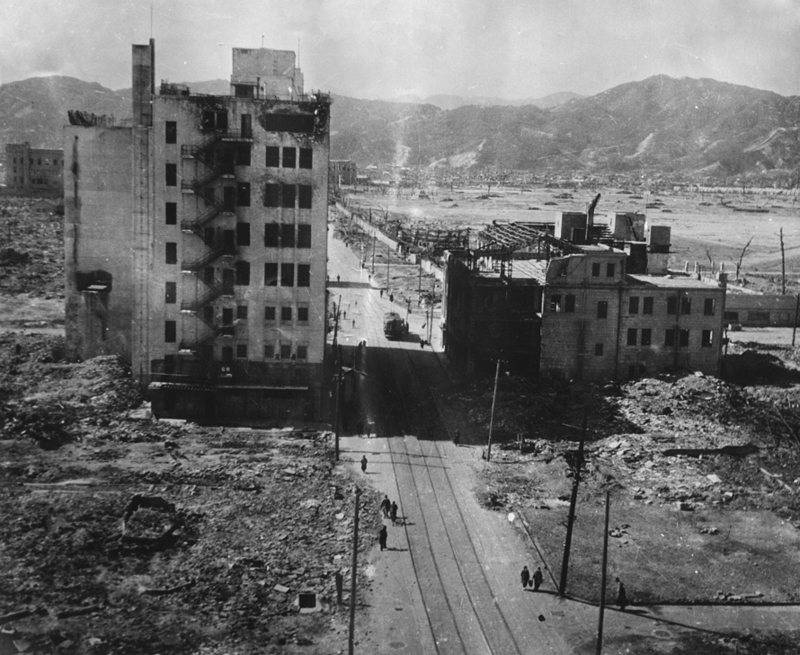 A luxurious house in Hiroshima, September 7, 1945. Only two pillars remained. 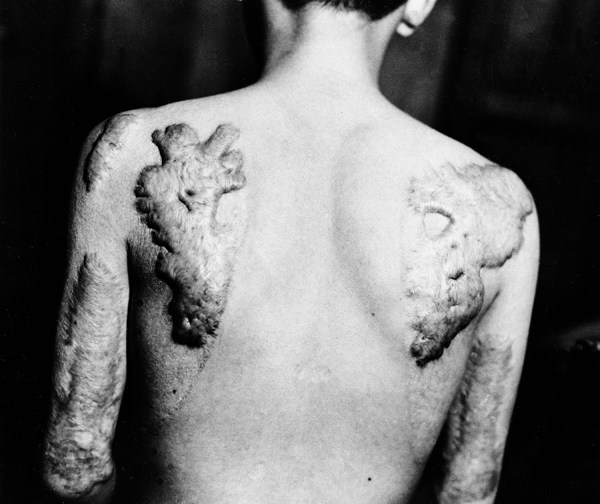 A movie theater in Hiroshima Sept. 8, 1945, a month after the atomic bomb was dropped by the U.S.
Sachio Tsuboto shows keloid scars, June 5, 1947, caused by healing burns from the atomic blast that decimated Hiroshima. 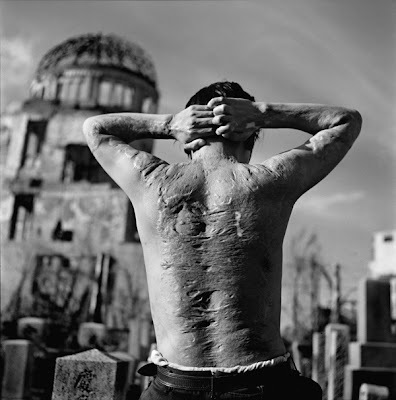 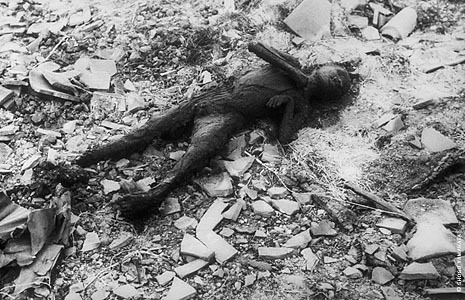 A victim of the Hiroshima atomic explosion. A view of Hachobori Street in Hiroshima, some time after the atomic bomb was dropped on this Japanese city, date unknown.